It’s time for another mysterious Mystery Monday! Remember to submit all of your answers to the FunGoPlay forum along with your GoName to claim your prize. All correct answers will win 100 GoDough and one lucky participant will be randomly chosen to win a month membership! 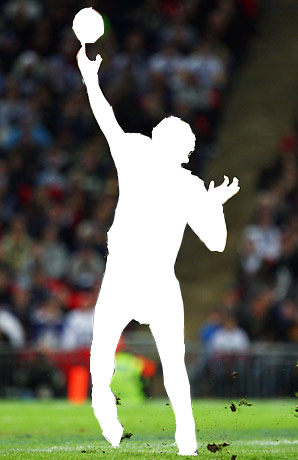 Do you know who this player is? Post your answer to the FunGoPlay Forum for GoDough and a chance to win a free membership! Posted by fungoplay on October 24, 2011 in Contest and tagged contest, football, mystery, NFL, sports. That’s okay John! Want to go ahead and post your GoName and we’ll still hook you up with prizes?